← This week we have been practising counting backwards. The children went into ‘The Cube’ and were challenged to count backwards from different numbers! 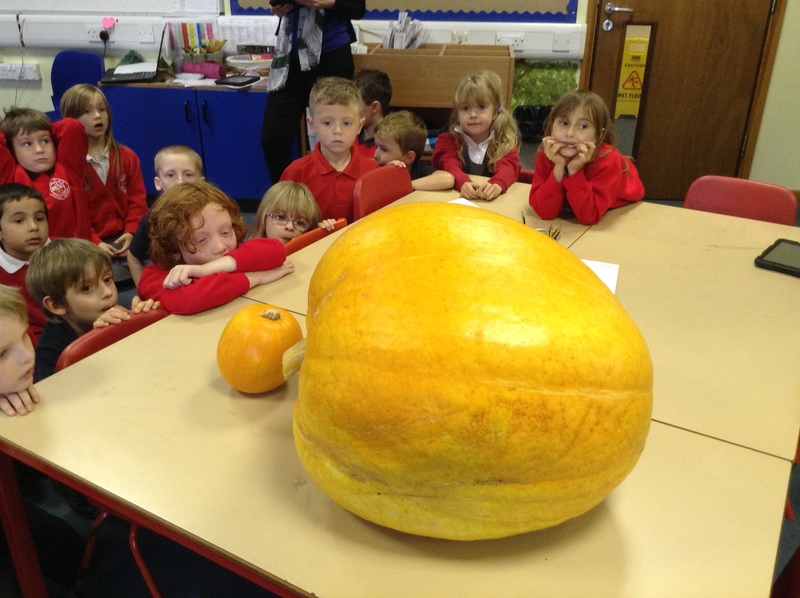 Class Spain were gobsmacked when we were invited into Class France to have a look at their enormous pumpkin ! 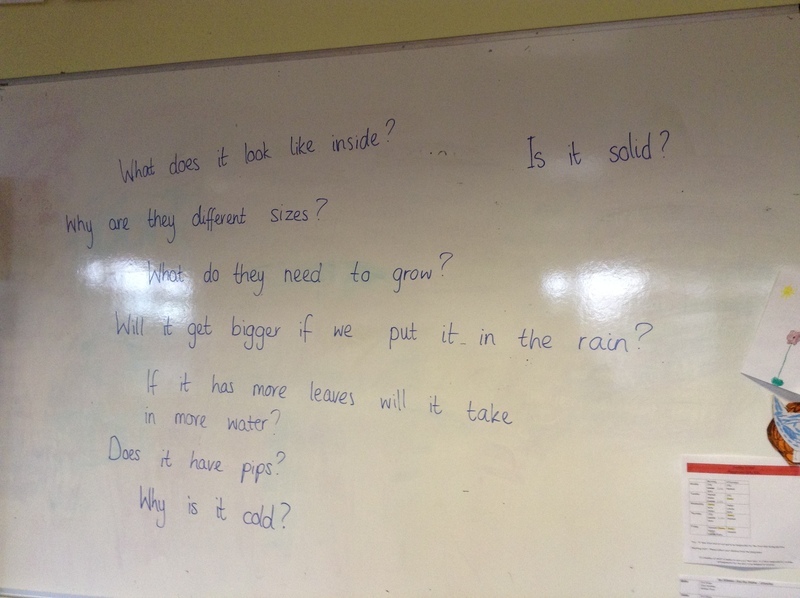 We had lots of questions that we wanted to find the answers to. 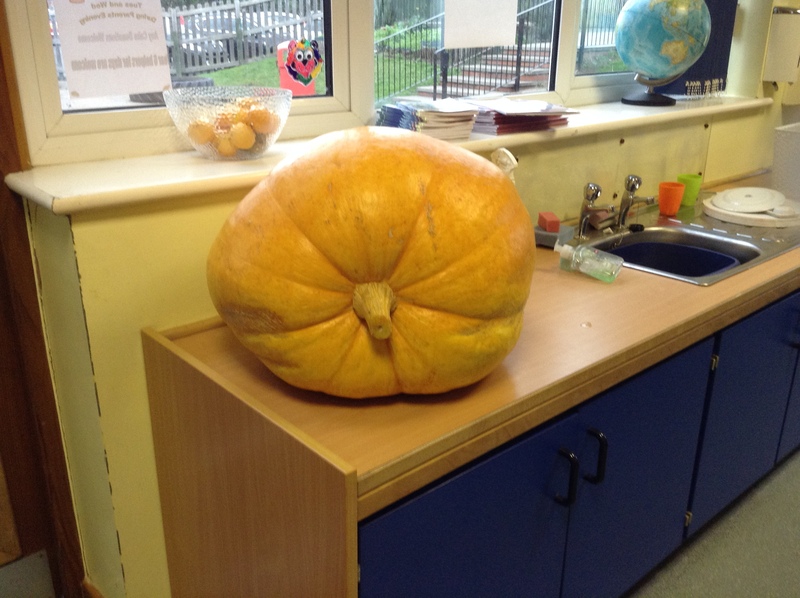 We tried to think why one pumpkin is so much bigger then the other pumpkin. Noah thought that the smaller pumpkin had been picked too soon.